William Tokash is the Sustainability Director at Invensys plc, and is based in Chicago. He has more than 20 years of diverse consulting experience in: sustainability strategy, energy and carbon management; renewable energy; corporate social responsibility (CSR); emerging regulatory analysis; and strategic environmental management across a variety of industrials sectors. Prior to joining Invensys, Mr. Tokash worked for Sage Environmental, where he led their carbon and greenhouse gas management services, and also previously founded Carbon Opportunity Group, where he led a team of advisors that analyzed investment opportunities in the waste to energy, biomass, wind, solar, and distributed renewable energy generation sectors. He was also previously a Managing Director at DOMANI, a niche sustainability management consultancy. 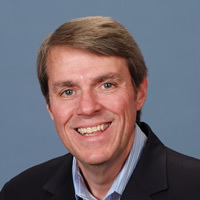 Over the course of his career, he has provided corporate consulting services on the forefront of most new environmental management disciplines, including environmental due diligence, multi-media environmental compliance auditing, risk-based (proactive) environmental management systems, resource efficiency (energy, water, waste), internal and external stakeholder engagement, carbon management, and CSR.